The DiSC Model (DiSC Profile Explained) was first published in 1928 by William Moulton Marston in his book, Emotions of Normal People. 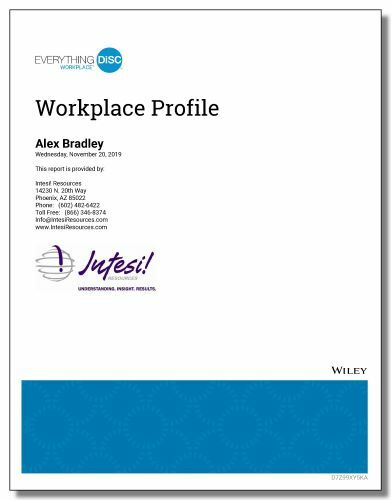 Over a million people across the globe have completed a DiSC Profile each year since the first assessment was developed more than 40 years ago. As a result of a strong commitment to maintaining quality, accuracy and validity, we have experienced three generations of the DiSC Profile. The first generation DiSC Classic Paper Profile, initially called the Personal Profile System and now DiSC Classic, is the paper booklet version. 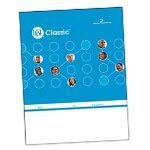 Each 20-page DiSC Classic Paper Profile is fully contained. They include a response page or questionnaire with 28 boxes that contain four words each. In each box the participant chooses one word that is most like them and one that is least like them by using a smooth metal object to rub the rectangle after the word. Complete instructions are included to score and graph the results. Guidelines for interpreting the DiSC Profile are minimal. The paper format is used when there is no internet access. The second generation DiSC Classic 2.0 Online Profile is the online DiSC Classic product family consisting of the DiSC Classic 2.0, DiSC Classic 2 Plus and DiSC PPSS General Characteristics assessments. 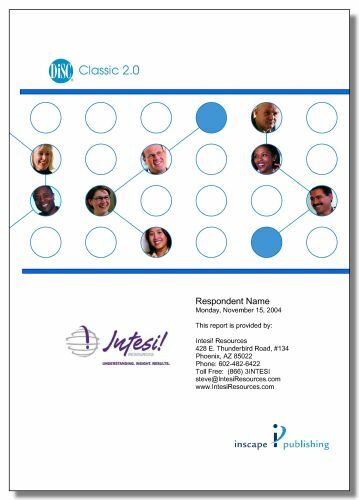 The questionnaire for the online format is the same as the paper format, but the report is automatically generated upon completion providing a comprehensive, personalized narrative in a line-graph format showing scores on four scales of D-i-S-C making up (15) DiSC Profile Types. The DiSC Classic Profiles also use 15 Classical Patterns to capture the integrated, interactive nature of these four scales. The Classical Patterns are based on the shape of the profile plotting points or the relationship of the four DiSC dimensions to each other. Each Classical Pattern represents a significantly different behavioral style. The third generation Everything DiSC Online Profile is the Everything DiSC product family which offers application layers of the DiSC Model that help participants immediately see the relevance of DiSC to their profession. There are five Everything DiSC Profiles available: Everything DiSC Workplace Profile, Everything DiSC Work of Leaders Profile, Everything DiSC 363 for Leaders Profile, Everything DiSC Sales Profile and Everything DiSC Management. In a more sophisticated marketplace, companies often want to take DiSC even farther. Organizations routinely use DiSC to train leaders, managers, salespeople and team members The circular representation of the DiSC Profile is designed to be simple and intuitive but also conveys a great deal of information about a person’s DiSC style at a glance. There’s no need to struggle to understand how DiSC relates to the participant’s developmental needs and goals. Instead of presenting the four DiSC styles as four separate traits, the circular model shows the true continuous nature of DiSC. Participants are shown phrases and asked to indicate on a five-point scale the degree to which they agree with each phrase. Everything DiSC Reports map the DiSC style in a circle, with dot placement and shading within the circle that is unique to the participant. Adaptive Testing is used in all Everything DiSC Profiles to provide even more precise dot placement on a participant’s Everything DiSC map. Adaptive Testing is an interactive assessment process that tailors questions to the participant: if a person’s responses are inconsistent on a specific scale they’ll receive additional questions to reveal their true score; or, if their responses indicate they have two equally strong styles, more questions will be given to determine if one of the styles is stronger. Although the traditional line-graph format of DiSC is still a very powerful tool, the circular format provides more precision about a participant’s true DiSC style and a superior user experience. Everything DiSC Profiles are the newest and fastest-growing instrument to help people connect better and understand the different DiSC Profile Types. Each profile includes in-depth information, strategies, personalized action plans and follow-up reports to help learners become more effective.